Ten years ago, we saw the beginnings of the housing crisis take place. In fact, between 2007 and 2014, almost 13 million homes across the United States entered foreclosure. That represents 29% of all mortgaged homes. Now, enough time has passed that we are bound to see Lake Havasu boomerang buyers hit the market. What's a "boomerang buyer"? I'm glad you asked. 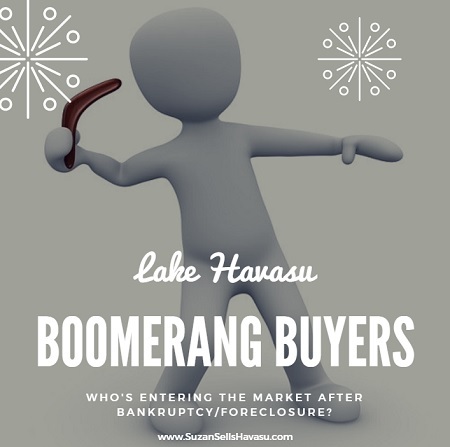 What are Lake Havasu Boomerang Buyers? 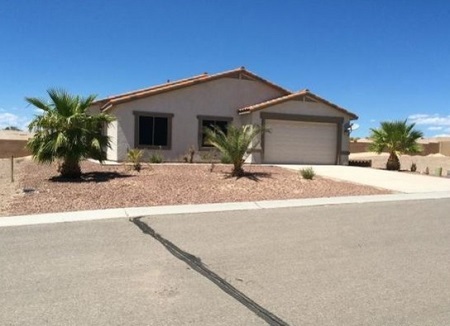 Lake Havasu boomerang buyers are buyers entering the real estate market after a foreclosure and subsequent bankruptcy. After seven years, all derogatory information (including a bankruptcy) gets discharged from your credit report. That means, anyone with a bankruptcy judgement against them before September 2010 (the peak year for foreclosures) should already have it cleared from their credit history or should see it cleared soon. In the next few years, the bulk of the remaining homeowners who declared bankruptcy should also see this information disappear from their credit reports. That creates a prime time for buyers wanting to get back into the market. To Be a Homeowner or Not to Be a Homeowner? CoreLogic released an article about boomerang buyers earlier this summer. In it, they talked about how, even though these buyers may have had their bankruptcy taken off their credit report, they haven't exactly rushed back in to buy homes. Even some of the homeowners who foreclosed in 2001 have been reticent to jump back into homeownership. Several variables may lend themselves to the hesitancy of some Lake Havasu boomerang buyers. For example, Lake Havasu home prices are up (median price of $262,000 as of July 2017). Furthermore, mortgage rates increased. Also, mortgage companies became more strict with their lending practices after the "bubble burst". With a slow economic recovery, jobs haven't bounced back like we hoped. This translates into other possible problems affecting credit scores. Finally, inventory can be tight. Due to these factors, Lake Havasu boomerang buyers tend to be more cautious about owning a home at this time. More and more Lake Havasu boomerang buyers should be entering the local real estate market over the next few years. 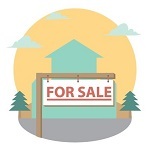 This gives competition to other buyers in the area. However, it may not be the deluge that some experts initially believed it will be. Less than one-quarter of the former foreclosure homeowners since the turn of this century have purchased another house. That means three-quarters have not yet ventured back into homeownership. However, if you'd like to buy a new Lake Havasu home, please feel free to contact me. I'd be happy to show you what's available.